Live total knee arthroplasty surgery was performed at Columbia Asia Hospital Hebbal in association with Karnataka Orthopaedic Association. The live surgery was performed using latest minimally invasive techniques, implants and recent advancements in the field of joint replacement. Dr Ravi Kelkar is one of the veteran doctor in the field of orthopaedics, who has performed more than 4,000 knee replacement surgeries co-ordinated the programme. The surgery was performed between 9:30 am and 11:30am. 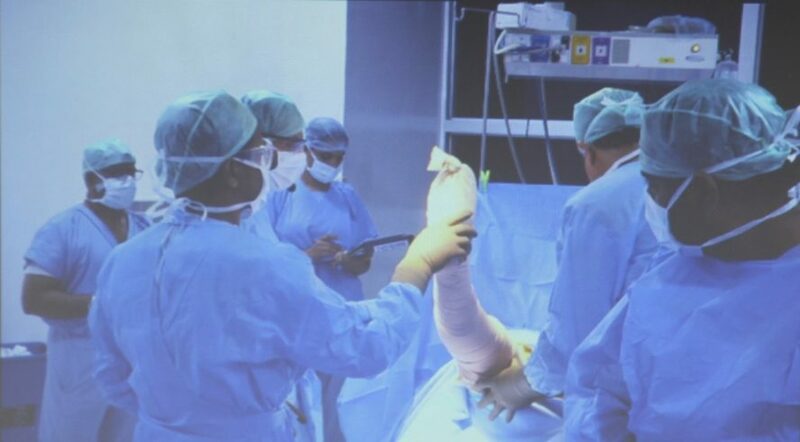 Post the surgery ‘hands on saw bone workshop’ was conducted, where the delegates performed on the prototypes and experienced the total knee arthroplasty surgery. The workshop also consisted of live surgery and lecture sessions on topic related to total knee arthroplasty from eminent faculties.